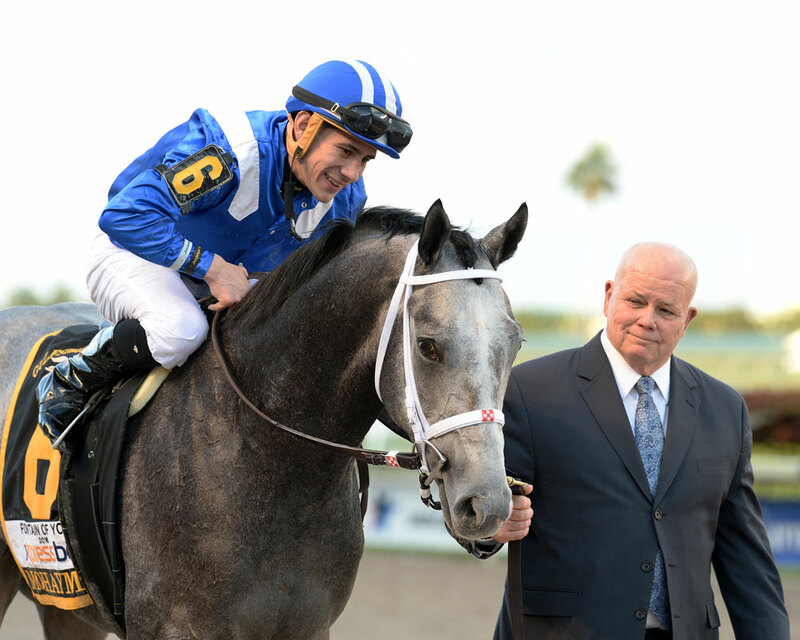 44th Annual Eclipse Awards Did Not Disappoint: 2014 was a thrilling year. 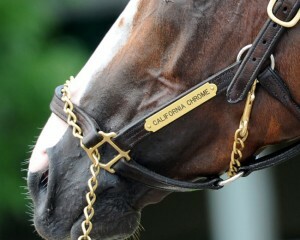 It was the closest we have been to a Triple Crown winner since Big Brown failed to finish the Belmont Stakes in 2008. California Chrome finished fourth after suffering a hoof injury at the start of the race. Bayern dominated almost all of his races. Tonalist played spoiler in the Belmont Stakes. Wicked Strong found his form. 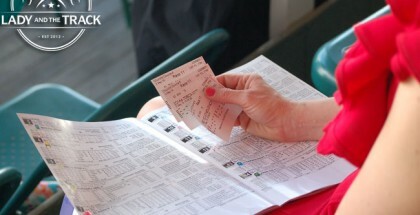 The three-year-old division was the deepest we have seen it in many years. California Chrome took home the Eclipse Award for three-year-old male and the title of Horse of The Year at the 44th Annual Eclipse Awards on January 17, 2015. The 44th annual Eclipse Awards is held at the end of the season every year to award the best horses that performed throughout the year. Categories range from juvenile awards to older horses. Categories for grass and dirt cover the horses that run on one or the other. The Eclipse Awards was held last night, January 17, at Gulfstream Park in Florida. Next, Champion Steeplechaser was announced. Divine Fortune was up for a second year, after winning it last year. However, Demonstrative was the winner and his connections took home the Eclipse Award. Ken and Sarah Ramsey have been prominent in the breeding and racing industry since their stallion Kitten’s Joy put them there. They won Champion Breeder in 2013 and followed up with another claim to fame in 2014. Ken gives his success to both his human and equine Kittens. The Sprinter categories came up next. As it usually is, ladies first, so the Champion Females Sprinter was indeed, Breeders’ Cup Filly and Mare Sprinter winner, Judy the Beauty. She beat out Sweet Reason and Artemis Agrotera for the honor. The Champion Male Sprinter was the Breeders’ Cup Sprint winner, Work All Week. 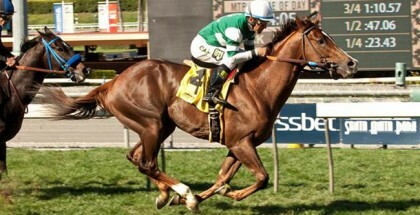 He beat out Goldencents and Private Zone. Work All Week did not finish worse than second, which he only finished second once, throughout 2014. The Special Eclipse Award was handed out to the Thoroughbred Aftercare Organization, Old Friends. Old Friends has rescued horses and put them to pasture to spend their days getting fat and happy. Old Friends is currently home to Silver Charm, Game on Dude, Amazombie, and Tinner’s Way. The Older Horse categories look at horses above age of three. Close Hatches, even after failing to mount a challenge in her last two races, was able to take the Eclipse Award home over Dayatthespa and Don’t Tell Sophia. Older Male was between Palace Malice, Main Sequence, and Wise Dan. Voters believed Main Sequence’s four Grade One wins were enough to take home a second award. Ken and Sarah Ramsey also continued their sweep of awards, taking home their second award for Champion Owners. Todd Pletcher continued his Eclipse award winning style and took home the Champion Trainer Eclipse Award, thanks to wins such as winning the Florida Derby with Constitution and the Alabama and CCAO with Stopchargingmaria. The Juvenile awards came next. The top fillies of 2014 were decided to be Condo Commando, Take Charge Brandi, and Lady Eli. With a push at the second half of the year, Take Charge Brandi received her Eclipse Award, which was accepted by the talkative Willis Horton. With one of the best, if not the best, speeches of the night, Willis is looking to have another big year. Next, top Juvenile Males were between Hootenanny, Texas Red, and American Pharoah. American Pharoah took home two grade ones before being scratched from the Breeders’ Cup Juvenile with a hoof injury. This Eclipse Award was the first for the Zayat team. Next came the awards for the jockeys. Drayden Van Dyke won the Apprentice Jockey Eclipse Award and will enter 2015 as a professional jockey. Javier Castellano took home yet another Eclipse Award for Outstanding Jockey. Finally, the must anticipated three-year-old categories. The Eclipse Award for Champion Three-Year-Old Filly was unanimous, as Untapable collected all 256 votes over Sweet Reason and Stopchargingmaria. The much-anticipated Champion Three-Year-Old Male was a big decision for voters. Between California Chrome, Bayern, and Shared Belief. California Chrome took home 2/3 of the Triple Crown and a Grade One turf race home, sealing his 193 votes to become Champion Three-Year-Old Male. Finally, Horse of the Year came to the front stage. California Chrome, Bayern, or Main Sequence could have rightfully taken the award home, but only one horse could. California Chrome has been America’s Horse through 2014, and at then end, they stood by him. Not only did California Chrome receive the Vox Populi Award and Three-Year-Old Male Champion title, he took the Horse of The Year Eclipse Award back home to California. The 44th Eclipse Awards were rewarding to not only those receiving awards, but to the fans that have followed these horses and people throughout the entire year. 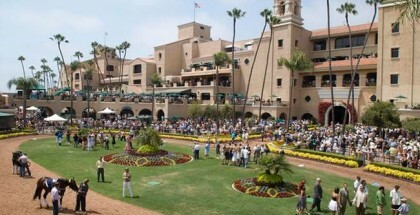 The Eclipse Awards may not be fair in some people’s eyes, however, the Eclipse Awards show that, while the sport can sometimes be lost in sadness, the honor of the game is high and will remain popular and long-lasting for many more years to come.